In the wake of the Armistice Day Centenary commemorations, it is perhaps timely to draw attention to the Library’s maps relating to the conflicts of the First World War, a cataclysm in which 20 million lives were lost, some 40,000 being Welsh. The Library’s many war maps and atlases display frontlines, trenches and other military paraphernalia, the war’s geopolitical impact in changing political boundaries, post-war redevelopment schemes and even include recreational map-based war games. 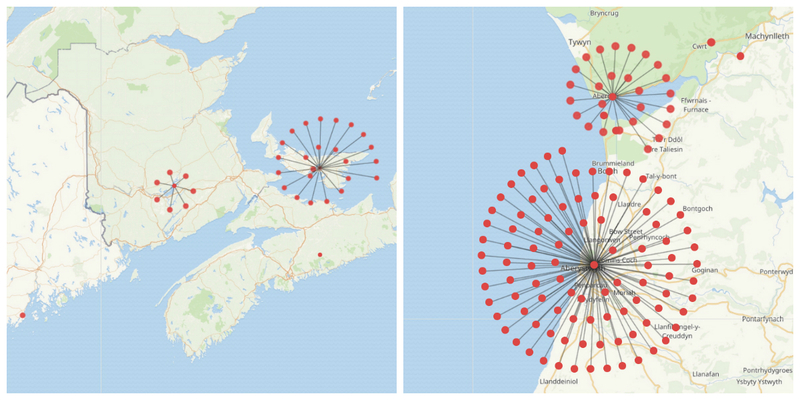 The maps are of both military and civilian origin, the latter published to inform the public and boost morale. Some two hundred maps have been digitised as part of the Library’s War Centennial programme. 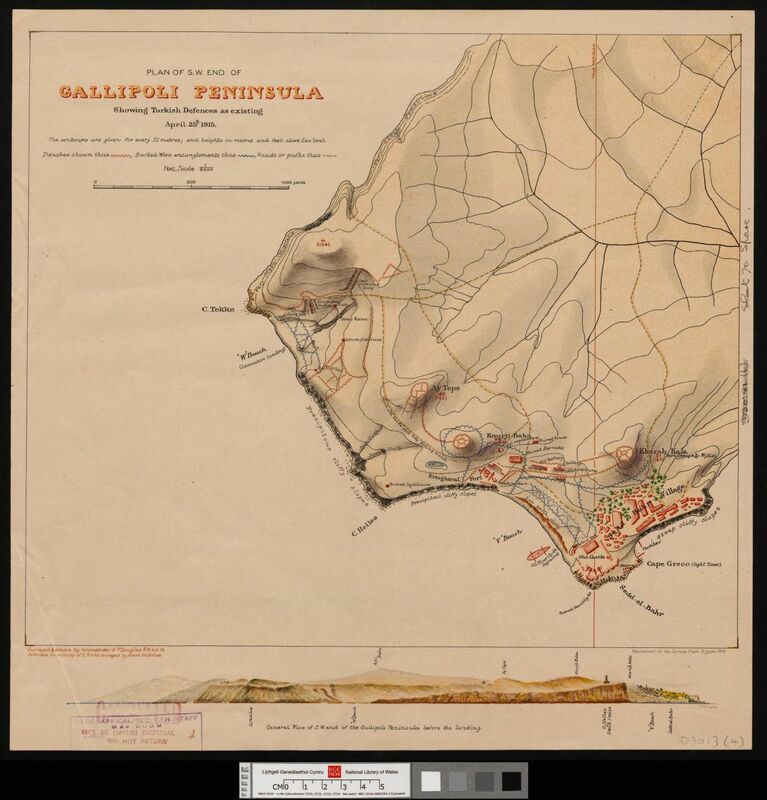 Included are these two examples of maps from the unsuccessful Gallipoli Campaign – which was associated with inaccurate maps that regularly included outdated information gathered during the Crimean War. 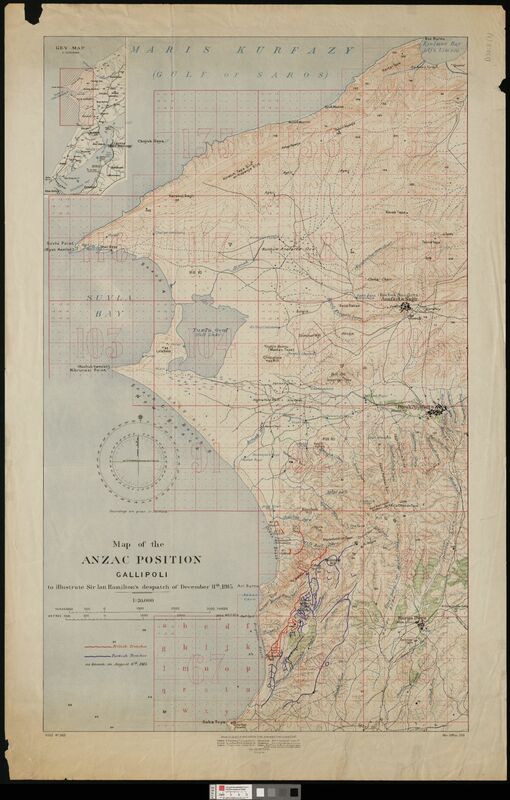 The Gallipoli collection comprises contemporary War Office maps such as the two illustrated examples showing Ottoman defences on the campaign’s opening day and a later map of ANZAC positions, together with commercially published sheets. The Allied attack on Turkey’s Gallipoli peninsula, popularly known as the Gallipoli or the Dardanelles Campaign, lasted from April 1915 to January 1916. Here, British Empire and French forces engaged the Ottoman Empire in an unsuccessful attempt to aid Russia and break the impasse on the fighting fronts by opening a shipping route with Russia unimpeded by excessive winter sea ice and extreme distance. A failed naval attack in the Dardanelles Strait in early 1915 progressed to a major land invasion on 25th April by British and French troops together with the Australian and New Zealand Army Corps or ANZAC forces. A later landing occurred at Suvla Bay on 6th August. Allied intelligence deficiencies, indecision and delay, combined with fierce Ottoman resistance thwarted headway and success and mired the belligerents in an entrenched battle of attrition and consequential heavy casualties. 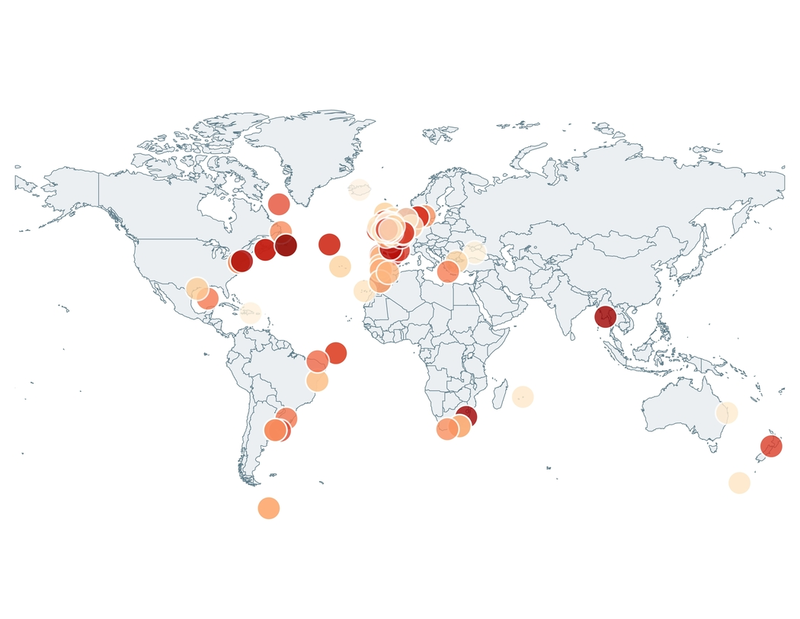 The British authorized evacuation began in December 1915, and ended the following January. Here’s a selection of dictionaries and grammars that will be digitized as part of the project. Gruffydd Robert was a Roman Catholic scholar, a grammarian of the sixteenth century and a humanist of the Renaissance. It comes as no surprise therefore that Robert was concerned with the study of language and the Welsh language in particular. As a Catholic exile he had to contend with rigorous press censorship across Europe which made the process of publication a daunting task. Gruffydd Robert’s multi-volume Grammar ‘Dosbarth byrr’, the earliest grammar to appear in Welsh, was at least partly published in Milan from 1567, where the author had settled. Robert was a firm supporter of the art of translation and believed it was a vital component in the expansion and development of a language in the modern world. He put his ideas into practice in his grammar. In addition, he converted the Ciceronian style into a Welsh medium by including a select translation of Cicero’s De Senectute in his sixth volume of ‘Dosparth byrr’. ‘Dictionarium Duplex’ was a Latin-Welsh, Welsh-Latin dictionary and the first of its kind. 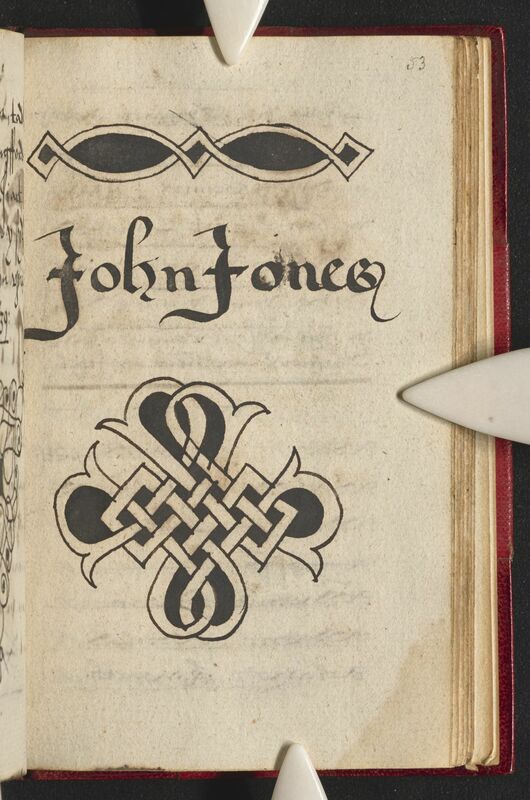 This publication showcased John Davies’s lifetime study of the Welsh language, from Old Welsh poetry dating from around the sixth century down to the seventeenth century. Davies was a Renaissance scholar and these humanistic values were evident is his ‘Dictionarium Duplex’. The preface to the volume presented an interesting statement on the uniqueness of the Welsh language, its history and its place within an international linguistic context. In addition, his familiarities with the ideas of influential humanistic scholars were evident within the publication. This dictionary was aimed at, and produced for, scholars or Latinists. It was certainly not a practical resource for the ordinary Welsh-man, nor the uneducated poet. 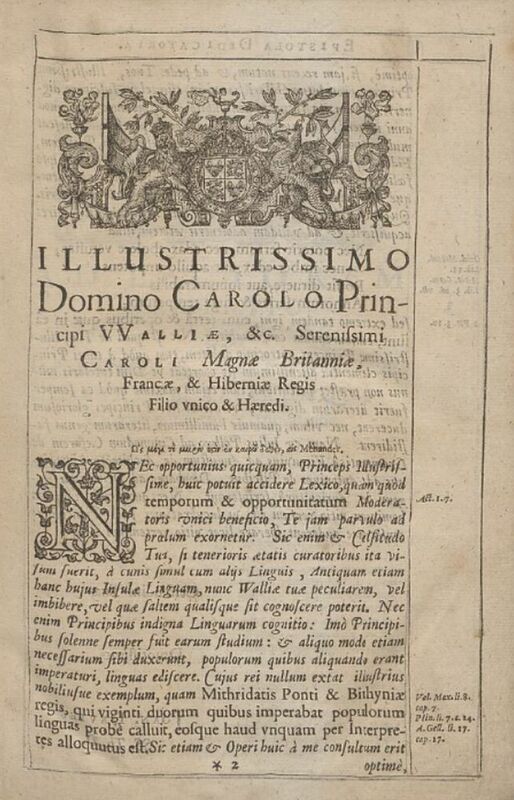 The ‘Dictionarium Duplex’ came to the attention of some of Europe’s leading linguists in the seventeenth century and laid the foundations for many future Welsh linguists and scholars. It also had a great impact on lawyers and priests during that time. Its publication is considered as one of the most important events in the history of the Welsh language in the seventeenth century. 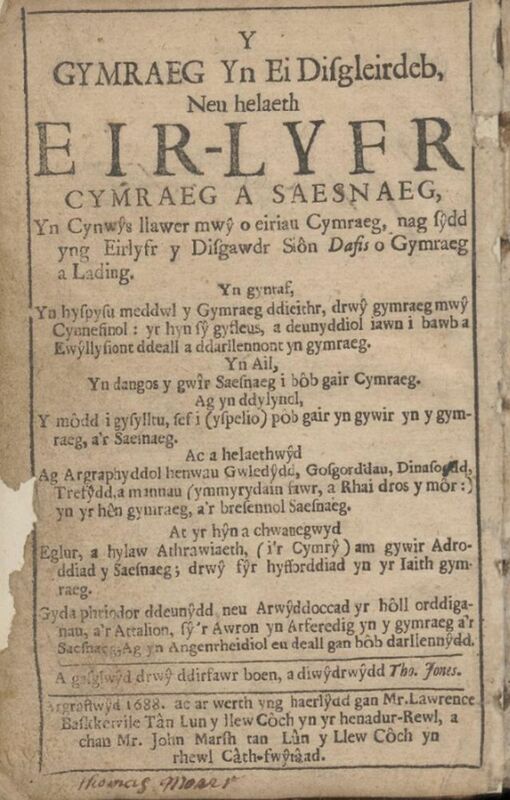 ‘Y Gymraeg yn ei Disgleirdeb’ or ‘The British language in its lustre’ was the first Welsh-English dictionary to appear in published form. This volume, by the almanacer Thomas Jones, was pocket sized and relatively cheap. 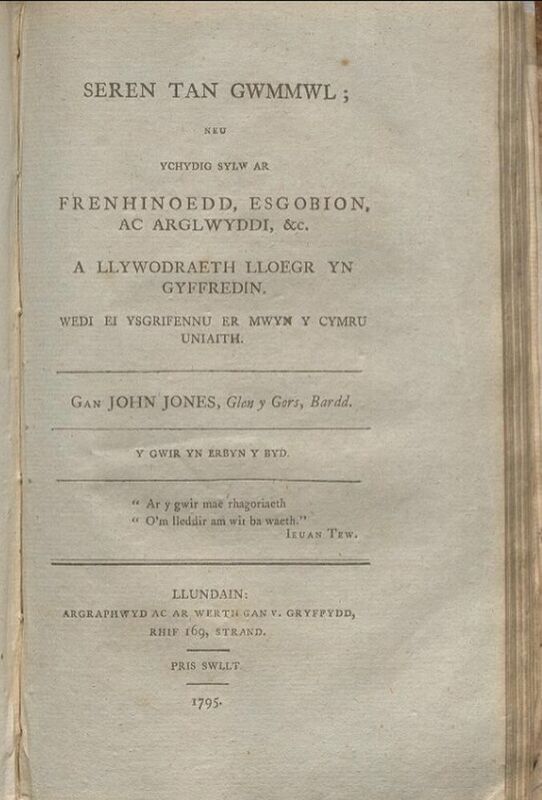 Jones used John Davies’s Welsh-Latin section in ‘Dictionarium Duplex’ as a starting point for his publication. However, this dictionary was not intended for the educated minority, like Davies’s Latin version, but rather the ordinary population. Jones wished to enhance the lower class’s ability to write and spell both in Welsh and English through ‘Y Gymraeg yn ei Disgleirdeb’. Here’s a selection of lifestyle and cookbooks that will be digitized as part of the project. Augusta Hall, or Lady Llanover was a prominent sponsor of Welsh folk culture. 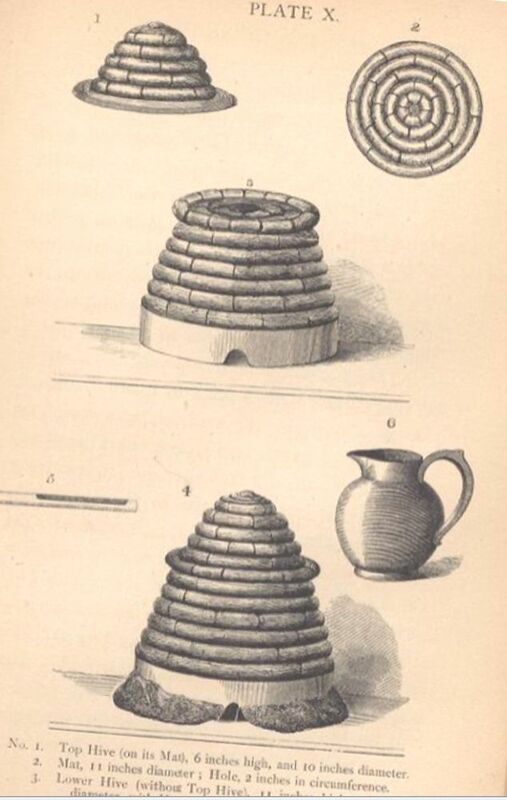 Her ‘Good Cookery Illustrated’ contained Welsh tales and recipes. It was structured around the conversations of a traveller to Llanover and the hermit of Llanover. Thomas Thomas was a Wesleyan minister and miscellaneous writer. 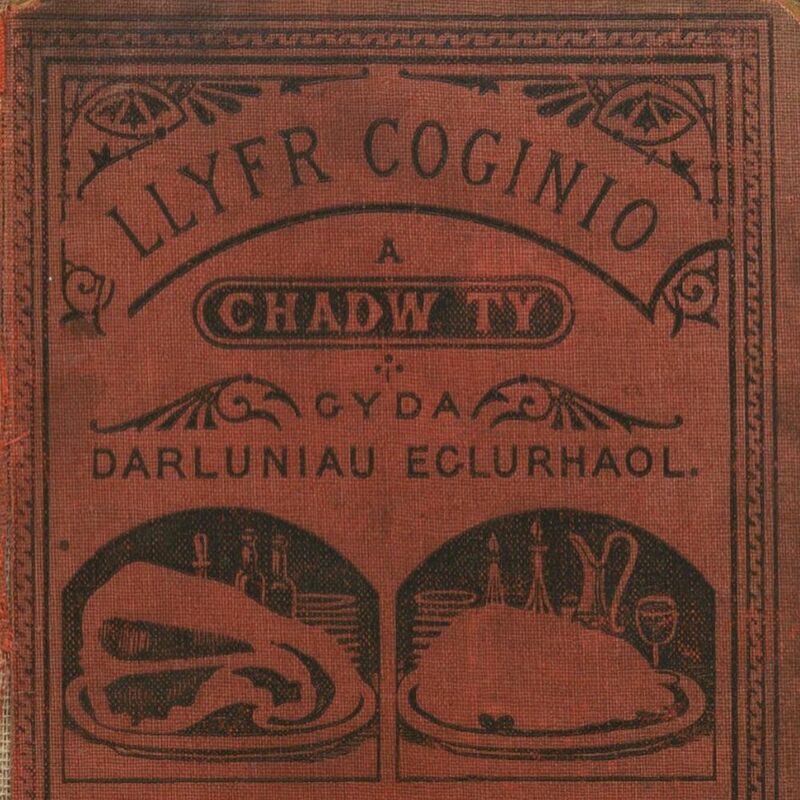 He was an active producer of popular books and his volume ‘Llyfr Coginio a Chadw T?’ (‘Book of Cookery and Housekeeping’) was particularly successful. This work was aimed at the women of Wales. Its objective was to instruct its audience on how to cook delicious and nutritious meals. The volume was marketed as a text book for inexperienced cooks. In addition, it contained clear directions on how to arrange the household, in order to ensure a healthy and comfortable environment for the family unit. The author was convinced that such shortcomings in the arrangement of one’s household drove men to public houses. 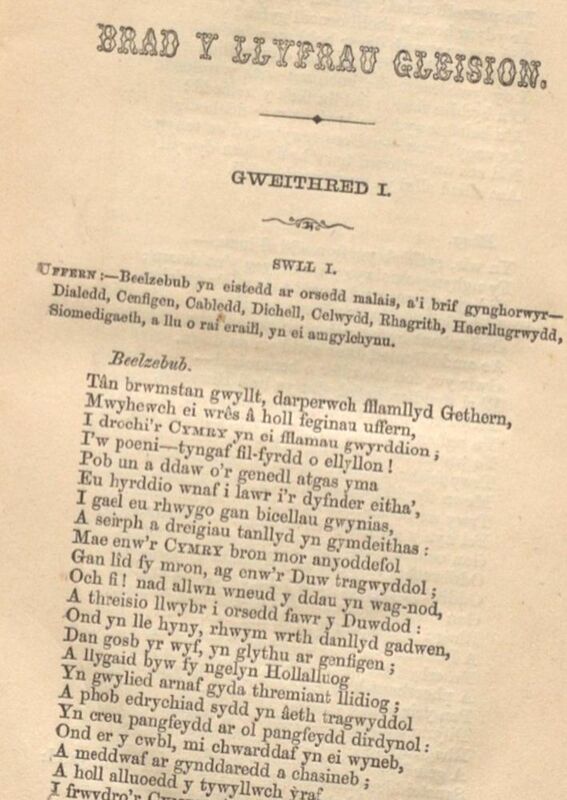 ‘Llyfr pawb ar bob-peth’ was also among Thomas Thomas’s most successful works. 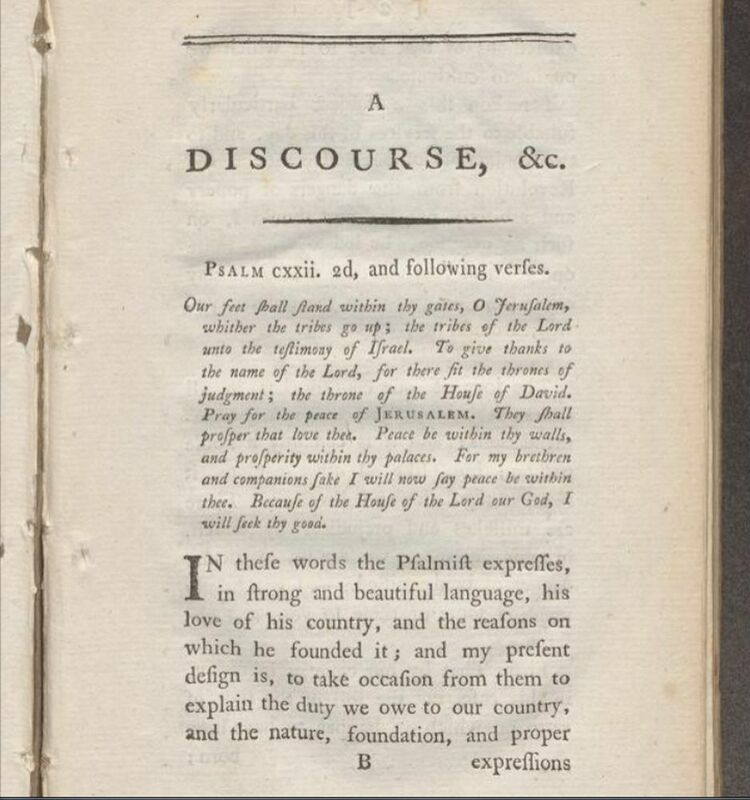 This small volume of instructions was aimed at a wide and diverse audience; for ‘everyone and all’. For the young man, it contained instructions on reading and writing; outlined an acceptable code of conduct; instructions in dressing appropriately, and choosing a suitable companion. For the young women, the author gave clear instructions on how to keep a clean and tidy home, and the means in which clothing were to be kept. For the young couple the volume contained suggestions on how to choose, buy and build a suitable home, means of organisation and how to govern the family unity. For the young farmer it contained recommendations on breeding stock and outlined the most effective ways of securing high quality produce. 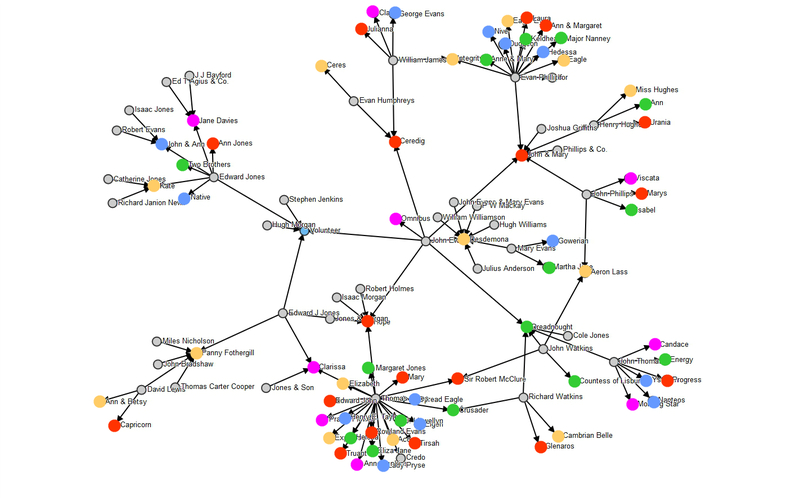 Here’s a selection of scientific and mathematical publications. These will be digitized as part of the project. 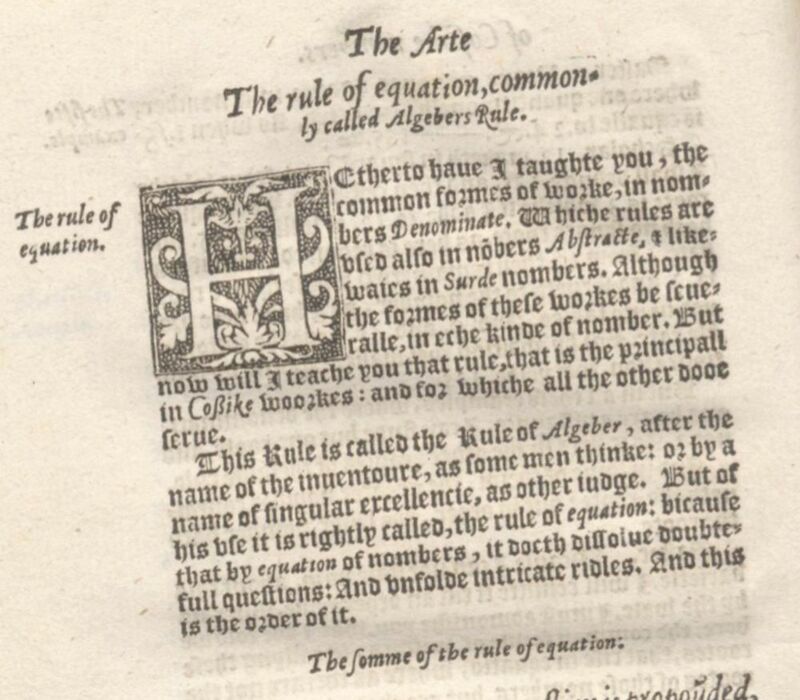 The Whetstone of Witte’ was published in 1557 and written by the influential Welsh mathematician and teacher Robert Recorde. It is in this book that algebra and the equals sign (=) are first introduced in published form. 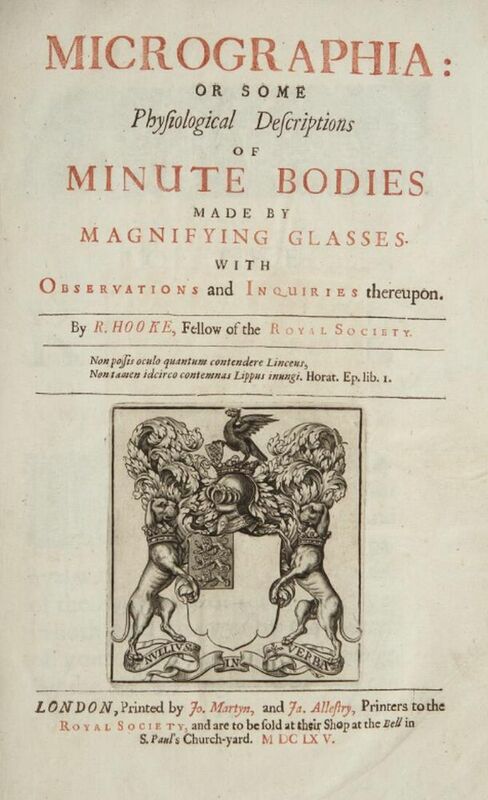 Robert Hooke worked at the Royal Society as Head of Experiments and his scientific interests varied. He made several influential and pioneering contributions to his field, for example, he invented the compound microscope. Through his microscope Hooke looked at insects, plants and bird’s feathers; detailed drawings of these are included in ‘Micrographia’. In addition, his publication presented a new way of conducting scientific exercises; through careful observation and the recording of results. Hooke’s concepts were highly influential and became common practices within the scientific field. William Robert Grove was a Welsh physical scientist, judge and lawyer. He was particularly devoted to his scientific work and gained considerable praise for his research projects within that field. 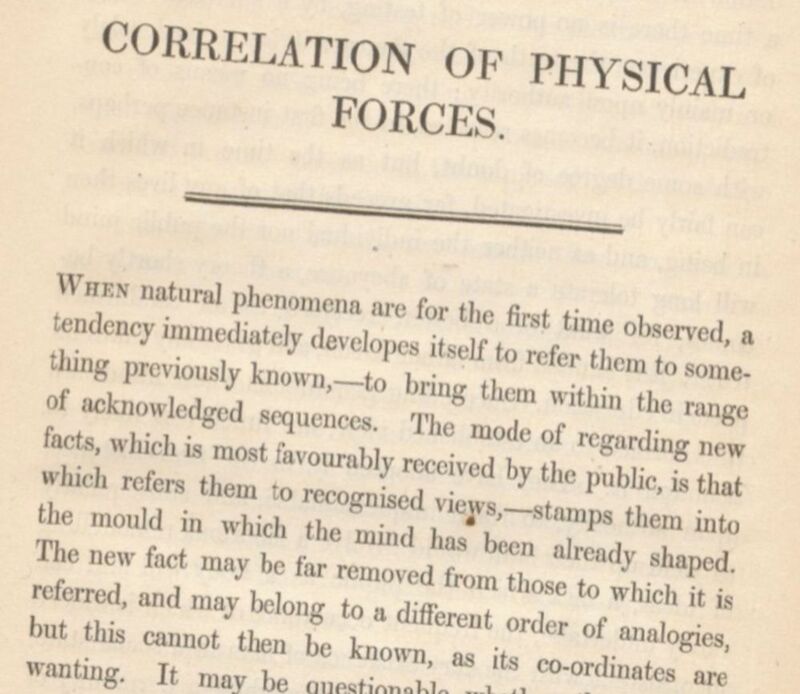 His ‘On the Correlation of Physical Forces’, published in 1846, is considered a literary classic. In this volume Grove explains the principle of the conservation of energy. It is worth noting that his work was published a year prior to that of Herman von Helmholtz, a German physicist who also enunciated the above principle in his famous thesis ‘Über die Erhaltung der Kraft’ (“On the Conservation of Force”). For most of his professional career William Henry Preece was connected to the field of telegraphic engineering and its development. Educated at King’s College, London, he quickly progressed in the area and was appointed electrician to the General Post Office in 1877 and promoted to engineer-in-chief in 1892. 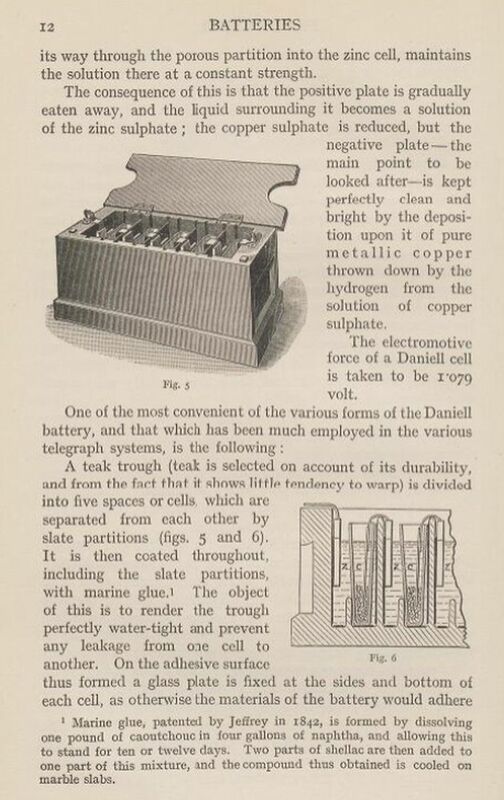 This publication demonstrates his interest in the development of the field and is a general introduction to the science of Telegraphy. 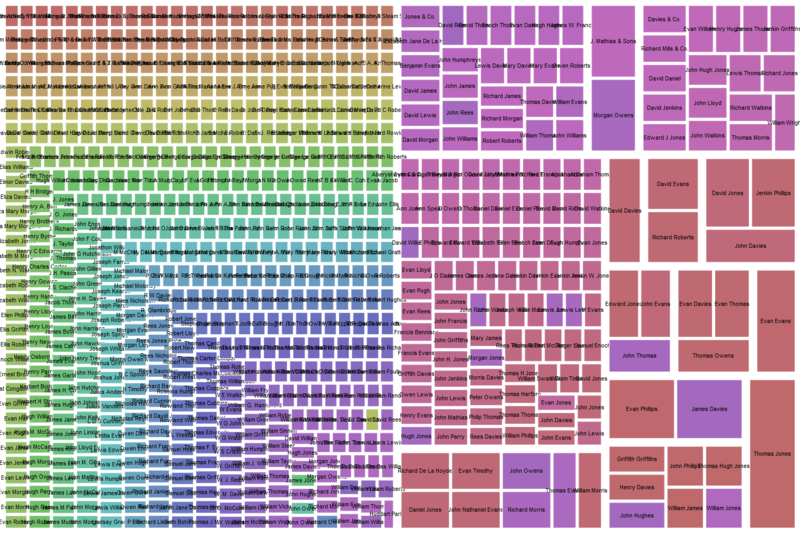 Here’s a selection of publications that directly responded to the Blue Book Reports. These will be digitized as part of the project. In 1846 William Williams, the Welsh Member of Parliament for Coventry, introduced a motion that would eventually lead to an inquiry into the state of education in Wales. 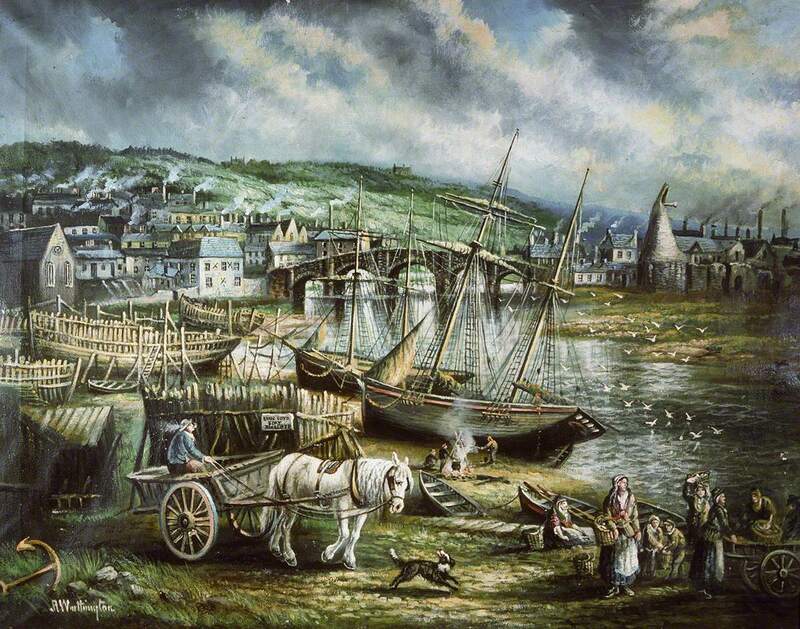 In the eyes of Williams, and the British Government in general, the Welsh people were becoming an increasingly unruly and riotous population and therefore threatened the foundations of society. Government officials were convinced that these seditious events were coordinated and held in the Welsh language. 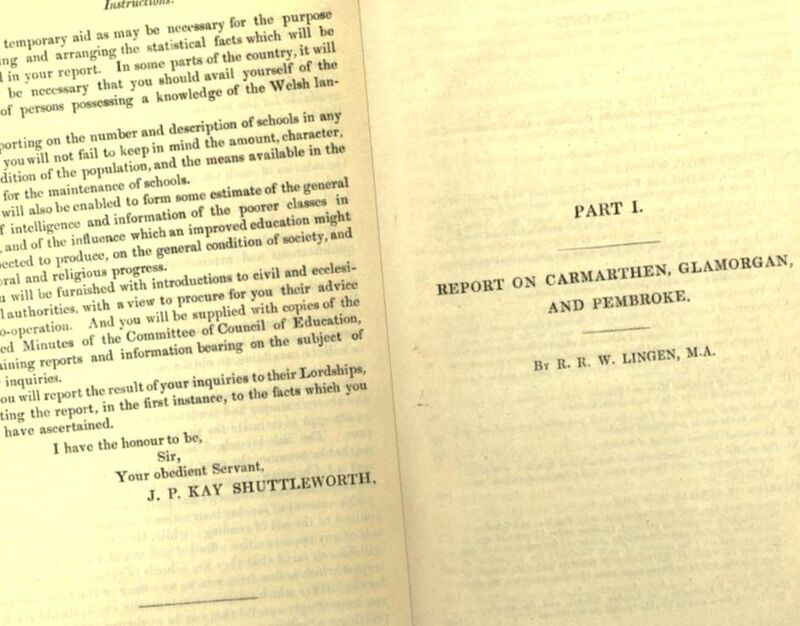 Kay-Suttleworth, the Secretary of the Council of Education noted that the commission would hold “an inquiry into the state of education in Wales, especially into the means afforded to the labouring classes of acquiring a knowledge of the English language”, that is, the language of commerce, higher education, government and law. Three deputies were appointed as investigators; R.R. W. Lingen, J. C. Symons and H. V. Johnson; their conclusions were later published in report form. With regards to education, many aspects were criticized by all deputies, including the poor quality of education provided by unqualified teachers, schools’ unsuitable locations and lack of facilities. Due to the ignorance and prejudices of the deputies these faults were over exaggerated slightly, in fact, education of the lower classes in England did not fare any better. Their comments concerning the immorality of Welsh women were highly controversial. 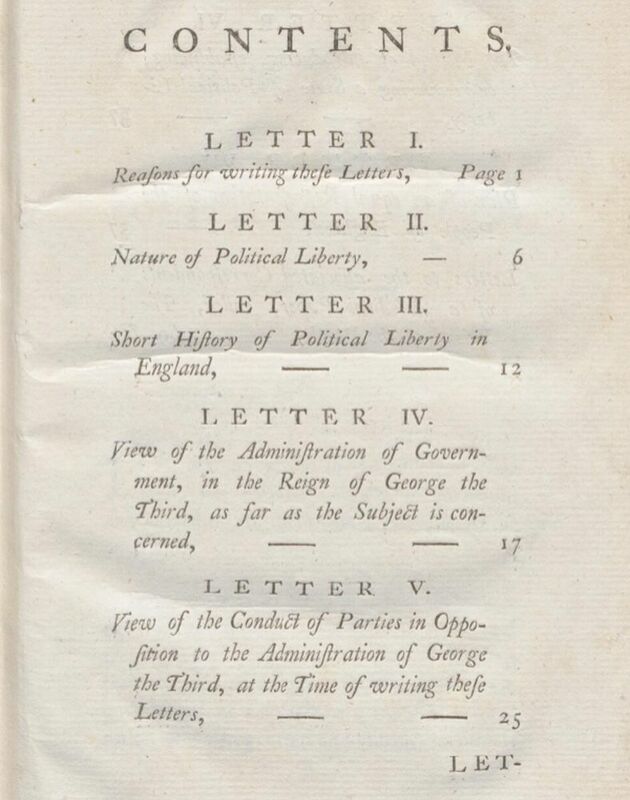 Only six pages of the reports were devoted to these criticisms; however such remarks were discussed extensively by the national press, particularly the London papers. 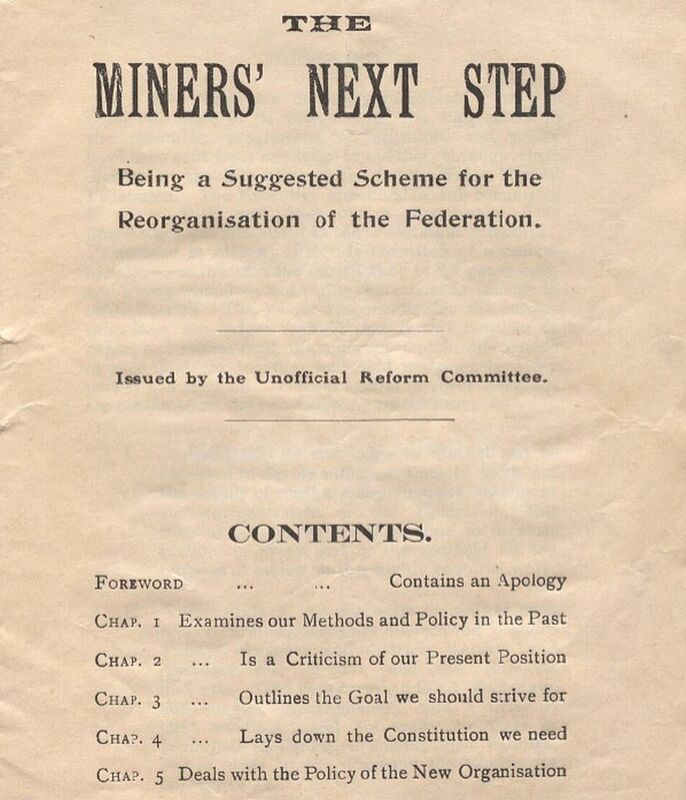 The reports were also seen as an attack on the Welsh language due to the deputies’ comments regarding its inferior status and that its use restricted the masses in terms of social prospects. Jane Williams was a London-born historian and miscellaneous writer. She spent many years of her life in Brecon, Wales and as a result developed a friendship with the famous cultural sponsor and supporter Augusta Hall, or Lady Llanover. 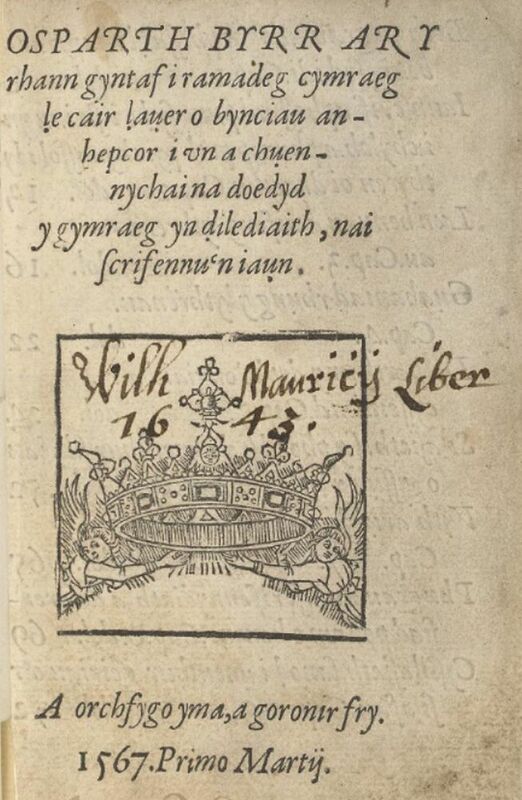 Thereafter Williams took a great interest in Welsh literature and learnt the language. She published several important volumes, yet ‘Artegall or, Remarks on the Reports of the Commissioners of Inquiry into the State of Education in Wales’ was printed as an anonymous pamphlet. It examined the reliability of the witnesses called to give evidence for the Report of the Commissioners of Inquiry into the State of Education in Wales. Williams stressed her disapproval of the generalisations made by the deputies throughout their investigations, proving that individuals of Anglican dissent were prepared to defend the Welsh people after the reports were published. Evan Jones, also known by his pen-name Ieuan Gwynedd, was a poet and pamphleteer. He was an avid supporter of the temperance movement and a dedicated Nonconformist. He defended Welsh nonconformity against the attacks of clergymen, and, more specifically, against the numerous criticisms noted by the Education Commissioners of 1847. 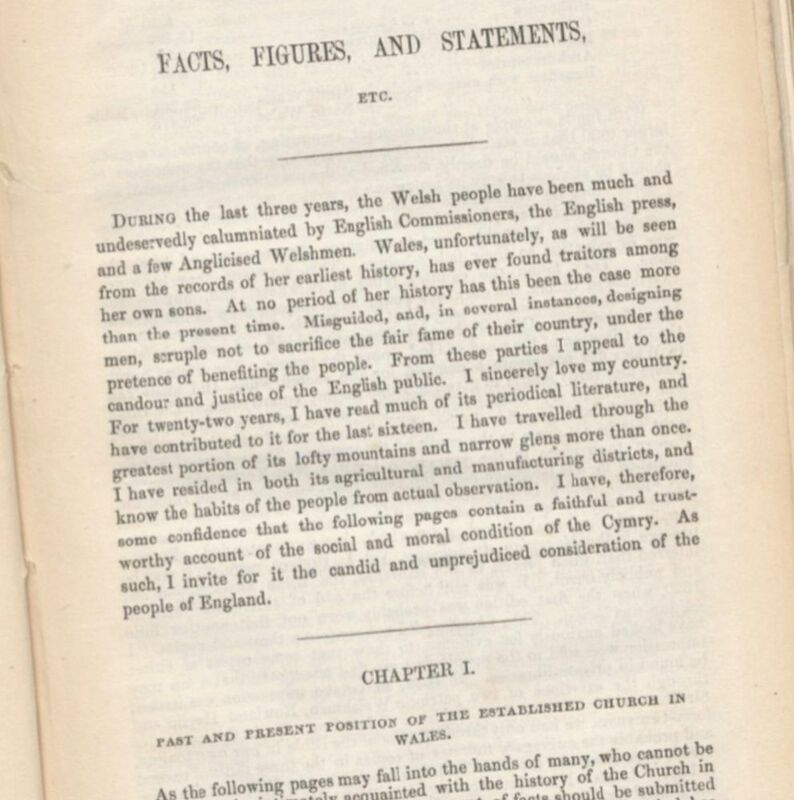 His arguments, always strongly presented, were based on a careful preliminary study of the facts; as seen in his pamphlet ‘Facts, Figures, and Statements in Illustration of the Dissent and Morality of Wales: an Appeal to the English People’. R. J. Derfel was a poet, writer and socialist. 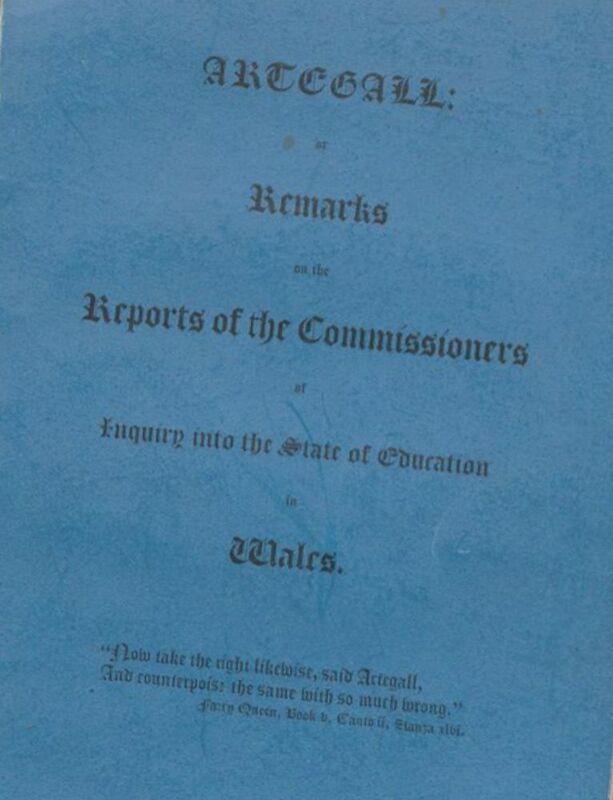 His play ‘Brad y Llyfrau Gleision’ or ‘The Treachery of the Blue Books’ was a direct reaction to the criticisms presented in the 1847 ‘Report of the Commissioners of Inquiry into the State of Education in Wales’, also referred to as ‘The Blue Books’. Derfel portrays Wales as an extremely godly country in his play, which makes it an intolerable destination for the demons. These demons however are excepting of Welsh clergymen, a group that provided most of the evidence used in the 1847 reports. Many Welsh clergymen were accused, mostly by devoted Nonconformists, of betrayal during the inquiry, and it’s no surprise that they are accepted by the occupants of hell. During the second act Beelzebub (prince of the demons) sends three spies to assess the state of the Welsh people, not dissimilar to the three deputies appointed to carry out the 1847 inquiry. The ‘Treachery’ however is committed by the Church goers and clergymen. Many, including Derfel, thought that their evidence enhanced and even fed The Blue Books’ anti-Welsh judgements. The play was inspired by the tale of the “Treachery of the Long Knives”. 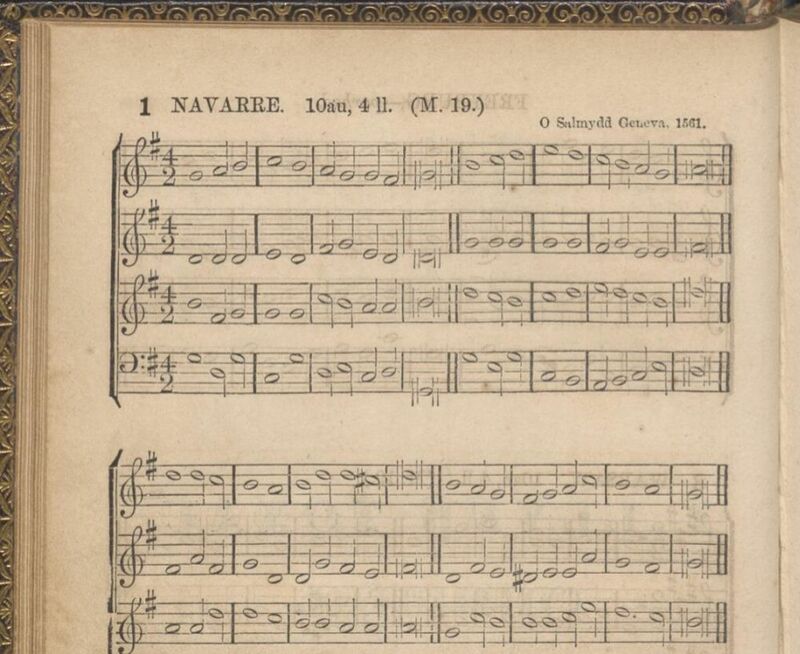 Here’s a selection of published music that will be digitized as part of the project. 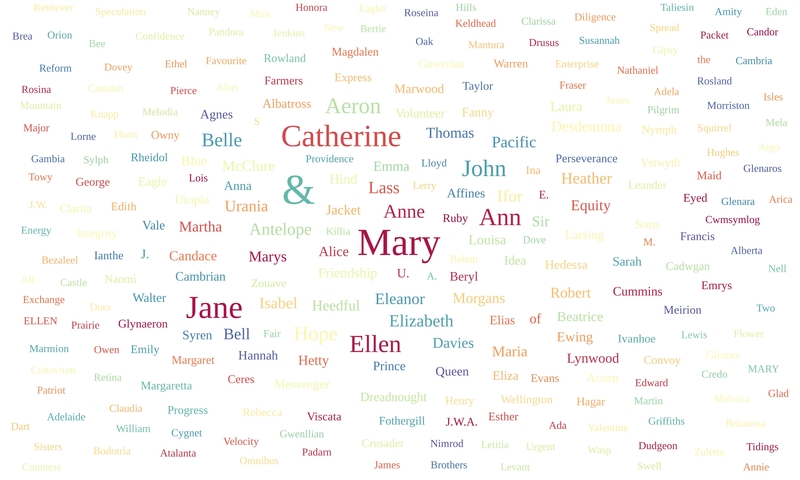 Ann Griffiths was a renowned hymn-writer and her compositions are major landmarks in the history of Welsh women’s writing. This volume is a compilation of her early works. Griffiths was a committed member of the Methodist Society and her hymns expressed her personal spiritual experiences. Calvinistic Methodism encouraged members to develop a personal relationship with God and this experience was explored and discussed in the Methodist ‘seiat’ (fellowship). Her main inspirations included the intense language of the seiat and folk poetry. It must be noted that Griffiths was an oral composer and her hymns were not intended for congregational purposes. Griffiths’s maid, Ruth, memorised her compositions and eventually recited them to her husband, the preacher John Hughes, who noted them on paper. 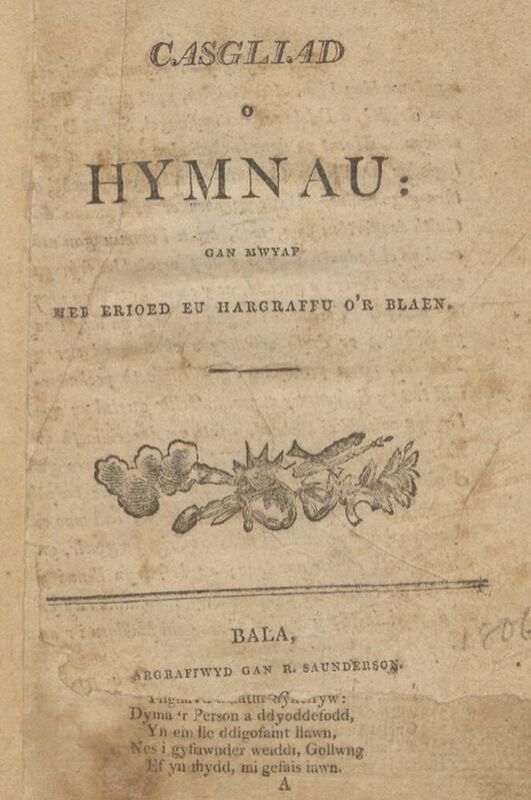 ‘Casgliad o Hymnau’ was edited by Thomas Charles from the Bala. John Roberts was a Calvinist Methodist minister and musician. 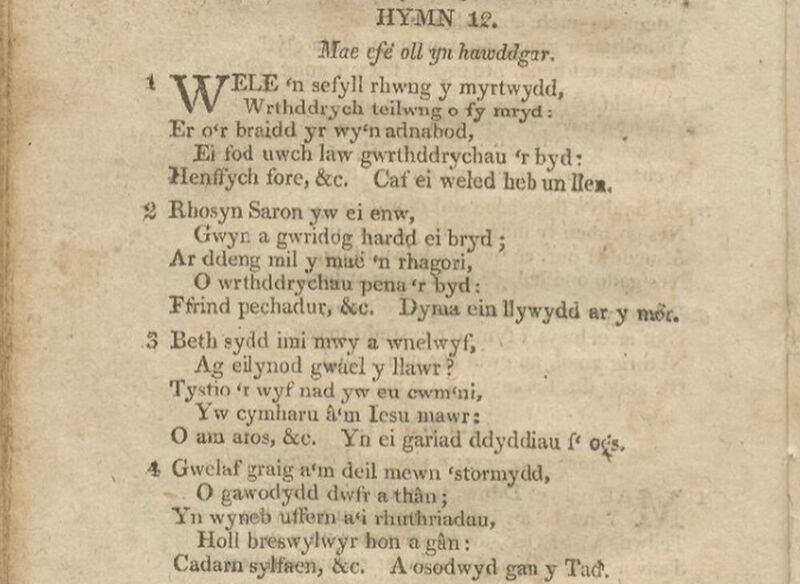 The publication of his book ‘Llyfr Tonau Cynulleidfaol’ (‘A Book of Congregational Tunes’) was an important milestone in the development of congregation singing in Wales. After laboring for six years, he published the volume in 1859. John Owen, or Owen Alaw, was an award winning musician. 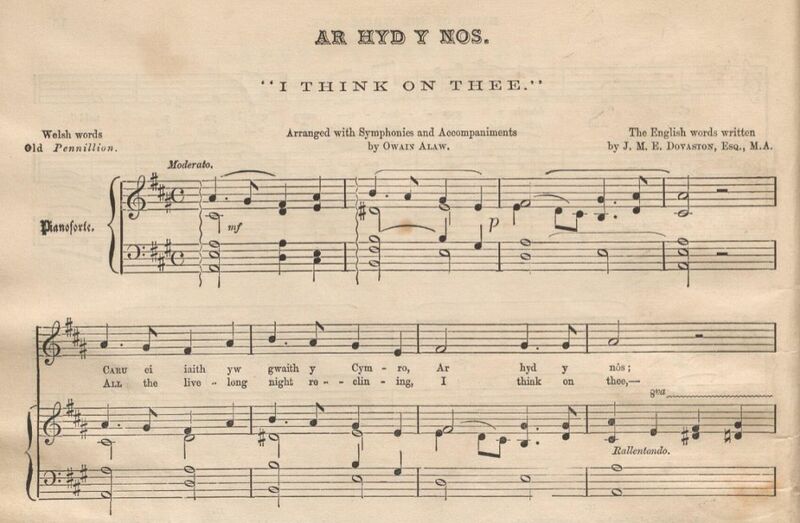 His famous volume ‘Gems of Welsh Melodies’, published in 1860, was a compilation of popular musical pieces. 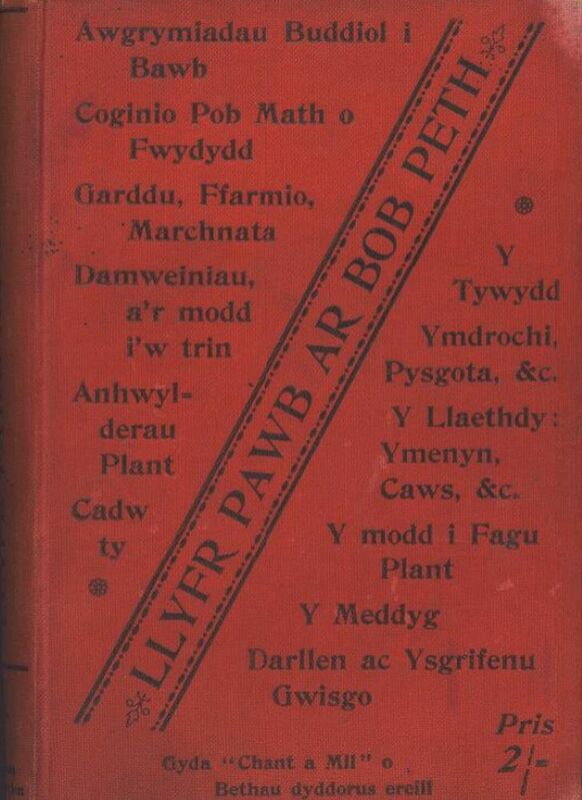 This collection, edited by Owen, proved very useful and was widely used in Wales. 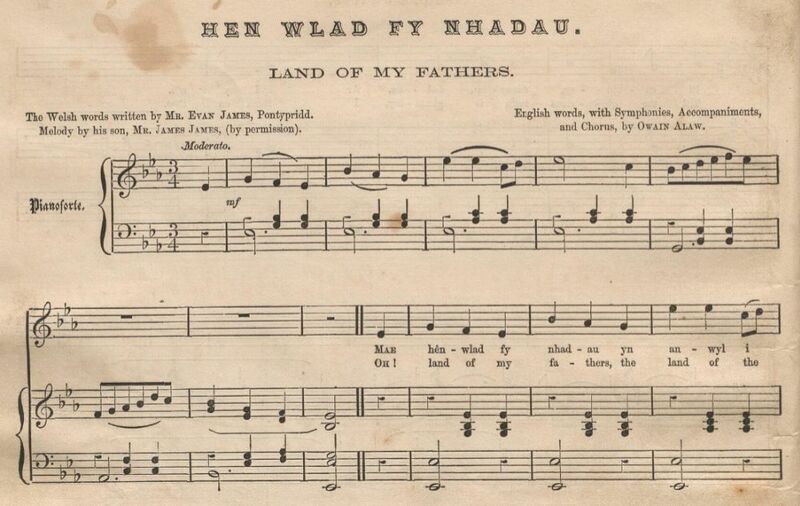 Welsh classics such as ‘Hên Wlad fy’n Nhadau’ and ‘Ar hyd y Nos’ appear in this collection.